CKN Chatter: Coltin McCaughan – CKN | CanadianKartingNews.com | Because Karting is a way of Life! 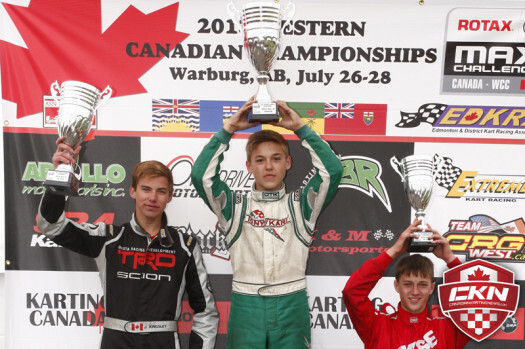 In the second of our chats with 2013 Western Canadian Champions, we caught up with Rotax Junior Champion Coltin McCaughan. 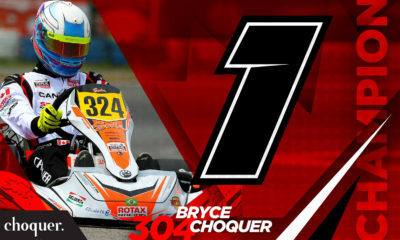 The youngster has been busy preparing for the Grand Finals after receiving his ticket, but also getting ready for the 2013 ASN Canadian National Karting Championships at Goodwood Kartways. At Warburg, McCaughan was the only driver to keep up with front-runner Jeff Kingsley throughout the event, but when it mattered most he put down the laps he needed to drive away from his competition in the Championship Final. Supporters: My Father (Mechanic/Tuner), Apollo Motorsports, Ryan Perry Motorsports (RPM), Black Racing Engines, White & Peters, Carlson Body Shop Supply, High Performance Coatings, Sutherland Automotive, BASF Canada, Pro Sound Audio Services, and the endless family and friends. To start, can you quickly recap your week at the 2013 Western Canadian Championships? This year at the 2013 WCC we had a great showing with the most desired outcome. We experienced both wet and dry conditions throughout the weekend, which brought out the best of my driving skills. In the final Qualifying heat on Saturday, we had a dominating first place finish in the rain. On Sunday, we struggled to find that extra tenth of a second that we needed in the Prefinal in order to beat Jeffrey Kingsley who was extremely fast throughout the event. With a few positive chassis adjustments and coaching from Ryan Perry, we found the extra speed required to win the Final. It was an awesome feeling to cross the finish line knowing that I had just secured a spot on Team Canada for the RMC Grand Finals. Who was supporting you through the event? 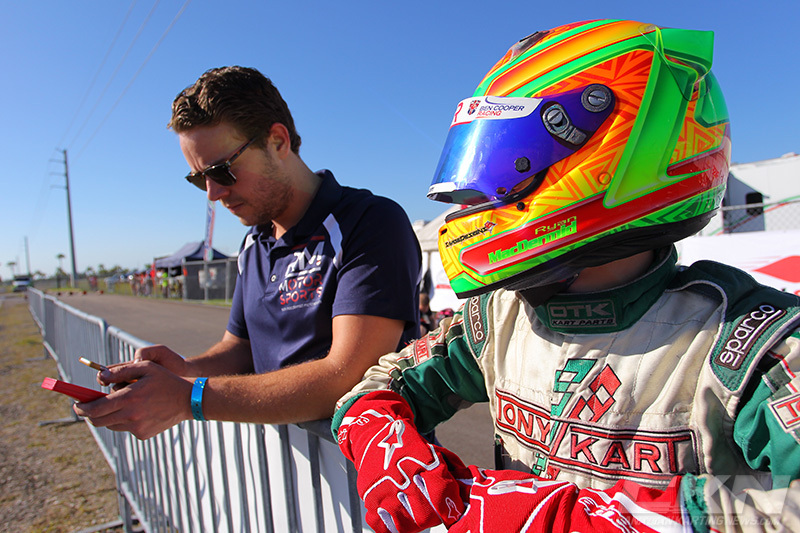 My Dad and Ryan Perry (Team Tuner) did a fantastic job of providing me with a fast kart, and the coaching required to stay focused throughout the event. The entire Dowler family for providing a great team environment (as well as great food), and engine support from Chris Black, co-owner of Black Racing Engines. And last but definitely not least, my relatives, family and friends. How was the feeling on the podium when you received your ticket to join Team Canada at the Rotax Max Challenge Grand Finals? With your ticket already secured, do you still plan on racing at the Canadian National Championships? If yes, has your game plan changed now? 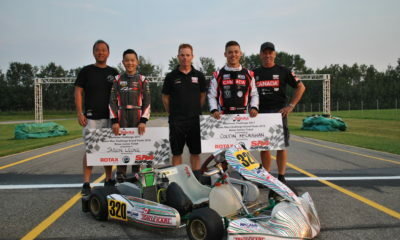 With this being my last year in Junior Rotax, we were already planning to attend the Canadian Nationals to experience the highest level of competition in Canada. Now that we have a ticket secured, it’s even more important that we mix it up with the best of the best. 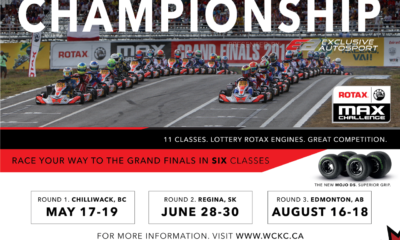 What type of preparation will you be doing to get ready for the Rotax Grand Finals? 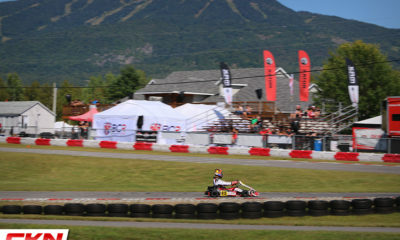 We will be attending the Canadian Nationals as well as the Rotax Pan-Am Championship being held at the same location as the World Finals in New Orleans. These premier events will be challenging and they will allow me to fine tune my driving skills and race craft. Personally, I’m going to step up my physical training program in order to be as physically fit as possible. Does travelling to New Orleans, USA excite you, or are you a guy who focuses solely on the event and task at hand? I can’t help but be excited about the venue, as it marks the first time ever being hosted in North America. But, I am going there in attempt to perform at the highest level on the world stage. How did you get started in karting? This may seem kinda boring, but one day my Dad showed up with a used cadet kart and said, “Let’s go racing.” It started off as a low key hobby, and eventually developed into numerous trips to major events throughout Western Canada, Northwest and Southern U.S. States. 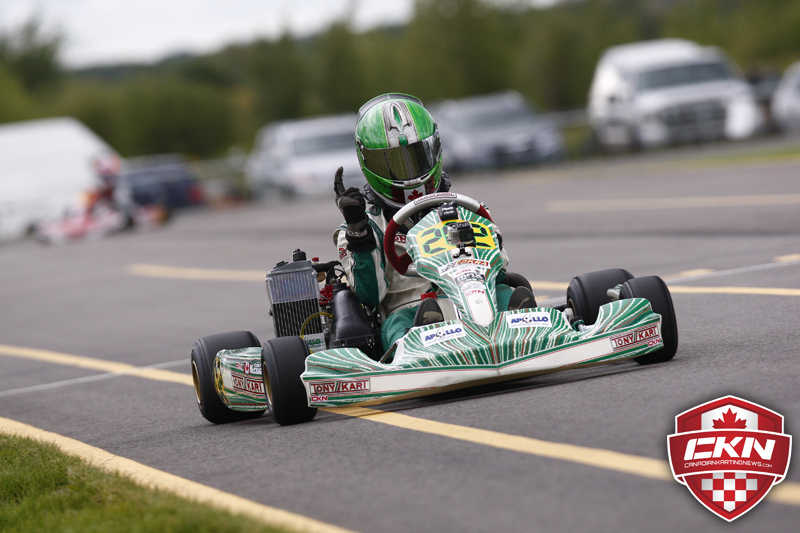 What is your most memorable karting moment? I’ve had many memorable moments, but the one that sticks out the most is the 2011 WCC’s in Calgary. I was fortunate enough to beat the likes of Parker Thompson and Zachary Scalzo for the feature win. I admire and respect both of these exceptional drivers who continue to advance in the sport. What is your favourite thing about racing? My favourite thing about racing is the adrenaline rush you get from high speed wheel-to-wheel action. I like the challenge that every decision I make, has an immediate effect on my performance. I also like the camaraderie and team environment within this family orientated sport. During my short career, I’ve learned many life lessons about winning and losing, and how to deal with it. Who is your favourite person to race against and why? I’d have to say Parker Thompson. 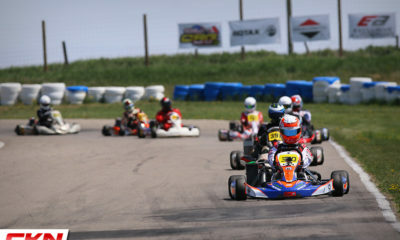 We started out racing cadet karts in Calgary, and I enjoyed the challenge of trying to beat him. He was always a front runner, which forced me to be on my game and try to improve myself. Parker has earned a lot of respect in my books, and I wish him luck in Europe. It was awesome seeing him back home for this year WCC, just taking in the event and helping CKN. If there is someone from another generation you could race against, who would it be and why? I would have to choose Ayrton Senna because of his raw talent, and pure driving style. I also admired his “no BS” attitude on and off the track. 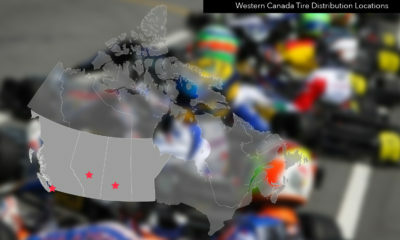 When you look at karting from a fan/spectator point of view, what do you see? I see an exciting sport filled with lots of action, which makes it very interesting to watch. 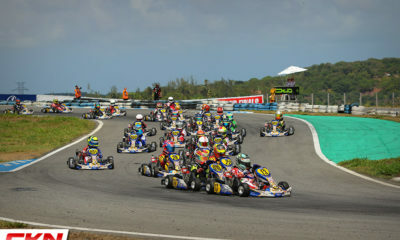 It’s amazing to see how revved up the fans get in anticipation of the karts entering turn one at the start of a race. In my opinion, Canada produces some of the best drivers that are competitive in the most prestigious events from around the world. However, it is extremely difficult for a up-and-coming driver with a small racing budget to further his or her career despite the talent he or she may have. This leads to drivers leaving the sport, or reverting back to club level racing. If there were more opportunities for talented drivers to progress their careers without the worry of money getting in the way, this problem would be solved. If you could win one race, and only one race, then retire, what would it be and why? It would have to be the Formula 1 Championship deciding race. It’s a way of saying that I’ve reached the top of the ladder, which is reserved for only the greatest drivers in the world. 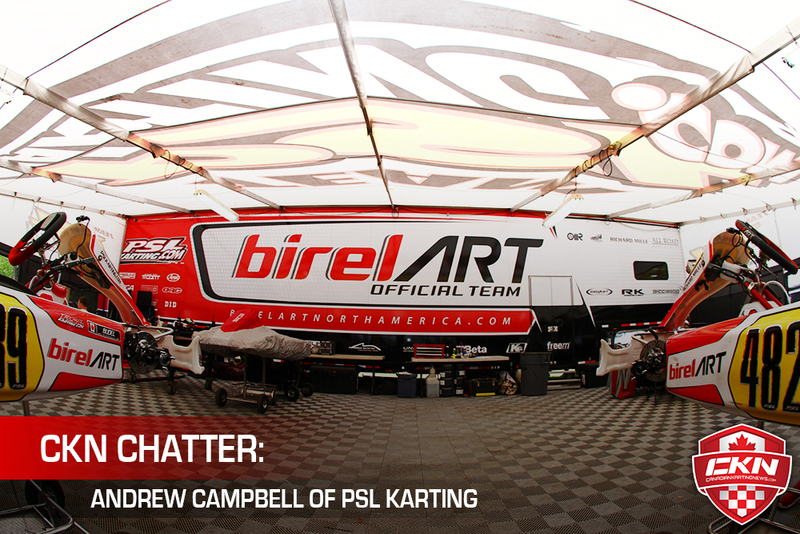 Finally, what is something that the karting community doesn’t know about you? Well, not very many people know that I’m a second degree Black Belt in Tung Soo Do, and I’ve been practicing martial arts since the age of 4. 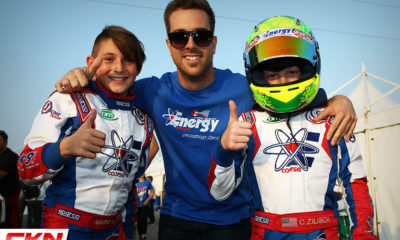 In closing, I’d like to thank Cody at CKN for his recent support and media coverage following the WCC’s. It’s very much appreciated!